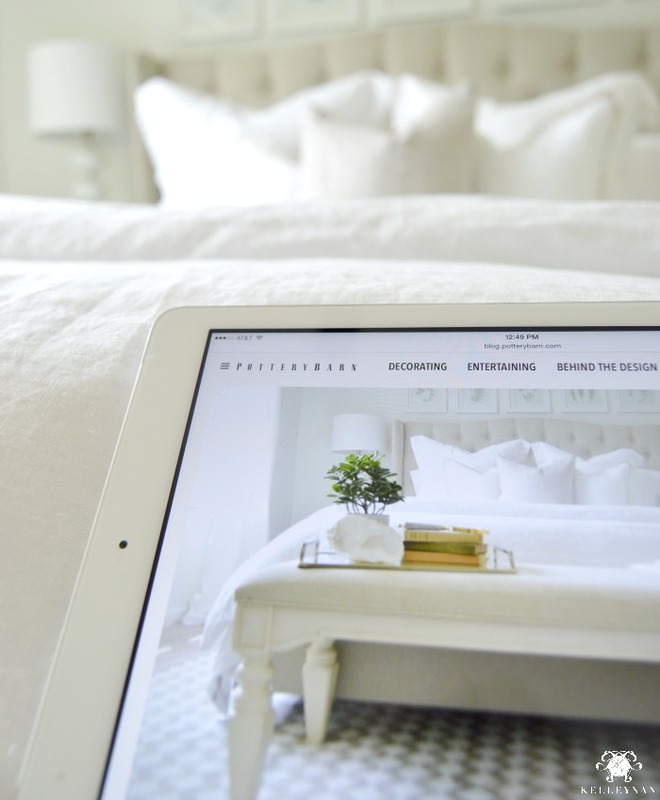 I am so excited to share a project I have been working on with Pottery Barn – a white guest retreat using the Sherwin Williams color of the year, Alabaster. What started as a storage room, and then transitioned into a “workout room” (let’s be honest, I never actually worked out in the “workout room”), has officially been turned into a calming retreat for our guests. Most of all, I am so glad I no longer have to shamefully keep the door to this room closed! You can catch all the details on the Pottery Barn blog HERE. Stay tuned; I will be sharing the process and posting additional room details in the coming week. If you want to catch my upcoming blog, you can subscribe at the bottom of the post to stay in the loop! Just read your post – it’s absolutely beautiful!!! When can I come visit? 🙂 Warning – I don’t think you’d ever be able to get me out if your house once I settled into this fabulous space! So well done my friend – you should be proud! Kris, thank you so much. I am in LOVE with your ORC reveal. Check that off the list and consider it a HUGE win! I can’t wait for you to be in Atlanta in August. Woo!! Congratulations, Kelley!! The room is gorgeous and PB should be so proud! And I’m just wondering when I can come to visit (and stay because you would never, ever get me to leave!). You are so good, my friend!!! :)) Congrats again!! Congrats! Absolutely beautiful. You did such an amazing job. Dana, thank you so very much! Janice, thank you so much my sweet friend and I would absolutely LOVE that!!! Janice, thank you and I would absolutely love that!